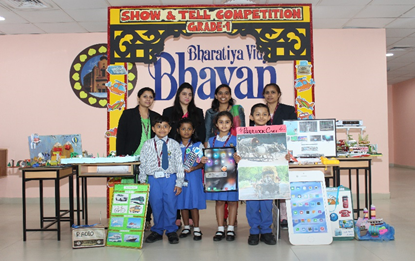 Celebration and dissemination on preservation of Ozone layer in its own iconic day to leave no stones unturned for its conservation had seen a noble induction of various activities for students on 16th September 2018 in Bhavans Smart Indian School. 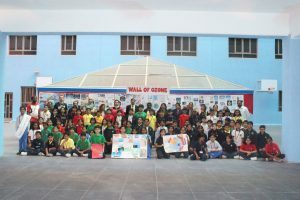 The clemency to be shown towards our unique world and for its immaculate sustenance with the intention to pave betterment for the people in posterity was emphasized on the day of Ozone. 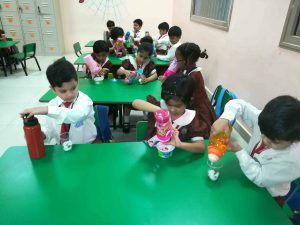 The department of Science under the adroit Head of Department Mr. Antony, was in full swing to proclaim and profuse the interest of students in accordance with this year’s theme “Keep Cool and Carry on” for the graders 1 – 5. 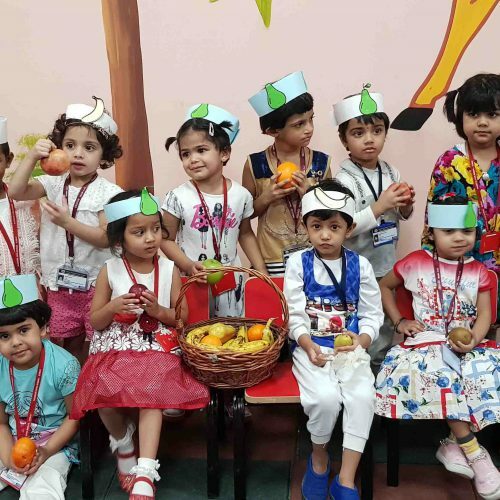 The allotment of activities to each class according to the level of their output were enlisted and endowed to the students much in advance to result in the ardent inclination and cognizance towards the essence of the day. 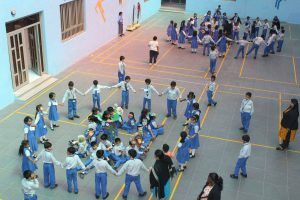 The accelerating action to be taken in the form of depleting the substances that amount to the collective disturbance for humans and the pitfall which ceases the thriving condition of Ozone were perfectly categorized by all classes in the allotted space of activity. 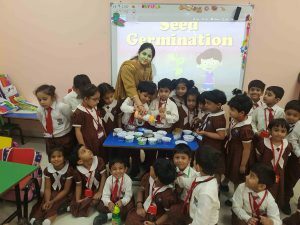 The shining kids of grade 1 were introduced to the art of vegetation in the world to germinate seeds by themselves using those tiny and tender hands in the aim to see the joyful shoots sprouting all around the corners of their class. 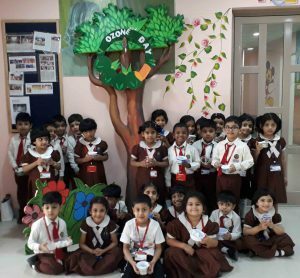 The glistening students of grade 2 had their time to fill wonders with the winner tag they accumulated in the process of Ozone game. 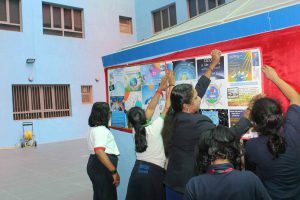 The astounding students of grades 3 to 5 spruced up the Wall of Ozone with posters, captions, drawings and articles that accentuated the ways the society is ossified in the hands of insensible minds. 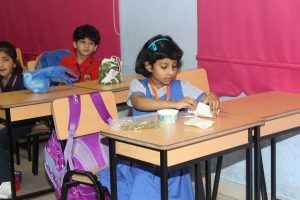 The young minds were reanimated with the thought to vanguard the existence by taking part in the long awaited quiz which went through the deep preparation in the preceded weeks of this special day of remembrance. 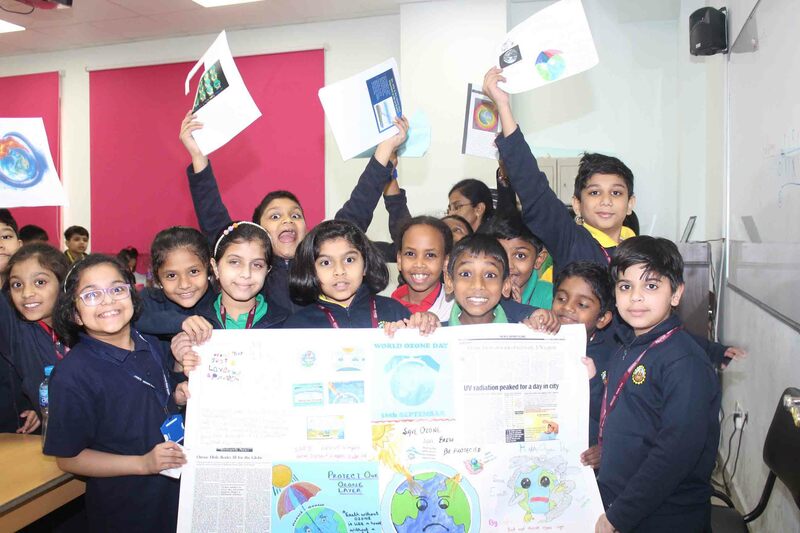 The spectacular Ozzy Ozone cartoon character delineated by our radiant wonder kid, Thejas Shetty of grade 5 Gemini who brought out the existing exigency to “safe sun” behavior if not we render our fullest protection to the blue planet. 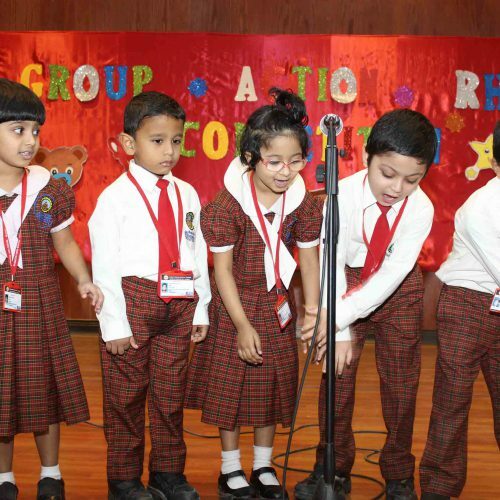 The impersonation that alerted graders from 3 to 5 carried a special note on the promise and pledge in succession to the depicted kid’s persuasive tone. 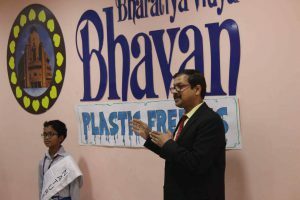 The launch of “Plastic Free SIS” initiated, stabilized and propagated by our proud Nature Champ, Tejas Shetty, was the icing on the cake on this special day. 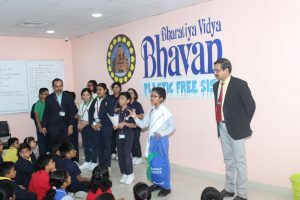 The team of students under the prodigal visionary stepped forward to evict plastics and effect the use of eco-friendly substances in their day-to-day use through swearing-in moments. 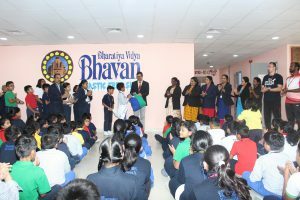 The inauguration was brought to pass by the school Principal – Mr. Mahesh Iyer, Vice-Principal – Ms. Albin Daisy, KG Supervisor – Ms. Rajini Menon and Administrative Manager – Ms. Shaimaa Zaki. 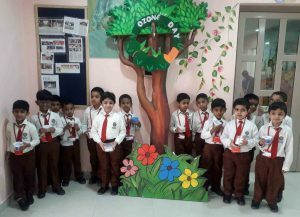 The cherubic kindergarteners carrying the defining feature of proffering awareness for the ecological imbalance that is caused by the depletion of Ozone layer in the vast expanse of sky imparted their support and showed the urgency for the protective need by undergoing germination activity. The demonstration led to an eye-opener in the field of estimating the catastrophic consequence that is conceived in the fueling of earth’s temperature. 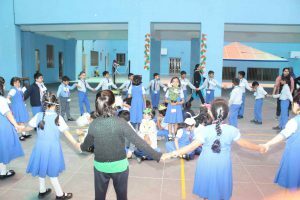 The students were enriched and enlightened on the bane of gases on Ozone layer by their respective teachers. 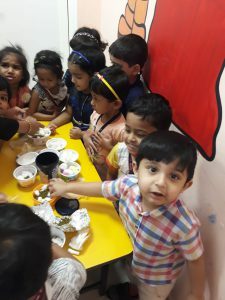 Thus the day tried to zero out the threatening accounts which the day gives in the failure to deplete the ozone layer by the smart students of our school. 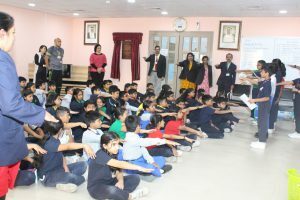 The school thanked its Principal – Mr. Mahesh Iyer for finding ways to flourish the inner abilities.